The historic district does not disappoint. I mean really, you should never miss a home tour. There’s never been a bad home tour in Dallas. But this weekend’s Winnetka Heights Home Tour is truly a special one, mainly because of 319 N. Edgefield Avenue. You may remember the 1920s Craftsman from our 2017 holiday issue. A dilapidated home before the French family discovered it in 2015, 319 N. Edgefield was brilliantly renovated by designers Russ Peters and Bill Cates (their own Oak Cliff home is featured in this holiday issue), who transformed it into a fresh space that honored the neighborhood’s myriad historic commission restrictions. 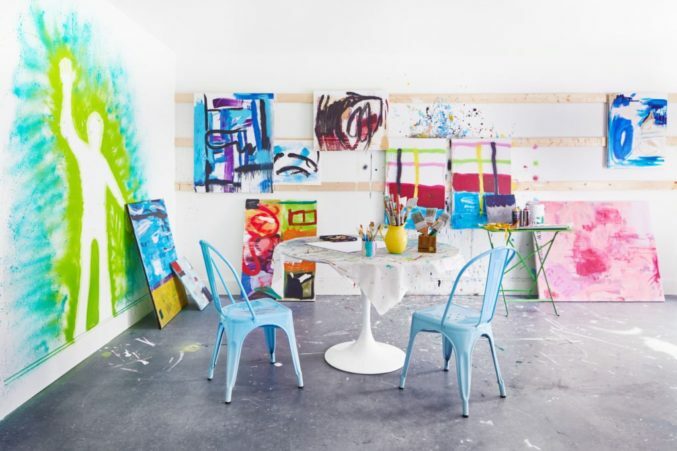 Inside, the kitchen serves as the home’s centerpiece, while the guest quarters double as an art studio for the French family’s son, Charlie, whose abstract art you’ll be able to visit in the studio. Other homes on the historic district’s annual tour include a ’20s church currently used as an arts center, and a 1912 Craftsman that was recently featured in Joanna Gaines’ new book “Homebody: A Guide to Creating Spaces You Never Want to Leave,” and (full disclosure) belongs to our editorial director Jamie Laubhan-Oliver.